With a 152% surge in searches in the past 12 months, Pinterest predicts that 'next level lashes' are set to be the top beauty trend for 2018! We explore how your business can take advantage of this trend and boost your profits through the roof. Mascara is the number ONE beauty product women would use every day if they could only choose, according to a recent Lab42 Makeup Habits study*. There is no question that the demand for lovely lashes continues to skyrocket – with the global lash enhancement market estimated to grow 5.83 percent per year for the next five years AND reach US$513 million in the United States by 2023 (Marketing Research Future 2018). Powered by the development of better eyelash enhancing agents and rapidly improving cosmetic technology that goes beyond the standard expectations, women across the world are on the search for treatments or products that will get them ‘next level lashes’. Unmistakably, capitalising on this burgeoning trend is more crucial than ever to keep up with what your clients will mandate. 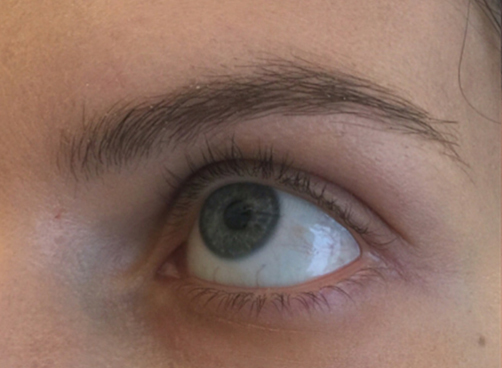 Majority of women want longer, thicker and darker eyelashes. But, in an industry that often demands the quick and inexpensive fix that helps them ‘get it now’, seemingly the only options to these women are costly and often laborious extension services. And unfortunately, many among your clientele will not be willing to fork out the dollars, or the time. This has resulted in many salons side-stepping the semi-permanent, expensive lash lift and extensions path for easier, simpler products that provide instant profit growth for their business. Consumer demand is at an all-time high for beautiful lashes, with 75 percent of young women* more than happy to spend money on makeup just because it makes them feel good. So, what is simpler and friendlier on your business than take-home lash products that are not only easy to retail to your clients, but also have extremely low expenditure and require no complicated training? We take a look at two trending lash innovations in the market, giving you the choice of receiving results instantly with brush on fibres OR enhancing over the long term with a powerful growth serum. Pop these on your point of sale and pay your salon’s rent with these products alone! The industry has come a long way since the early days of lash serums that caused redness and watering, as well as darkening the eyelid skin and eye-colour of those that carried the chemical, prostaglandin. We love the advanced Image Skincare Lash & Brow Enhancement Serum, as the serum of choice due to its intensified, prostaglandin free formula. Backed by clinical tests, and utilising a potent blend of peptides and plant stem cell extracts, this wonder product enhances the appearance of sparse lashes while conditioning and supporting follicles. Not only can you see visible results in as little as two weeks, but advanced serums of today fortify the hair to protect against breakage, and prevent further hair loss, making it perfect for those who struggle with thinning hair. When you’ve heard hundreds of horror stories of people gluing their eyes together with strip lashes, or the struggle to upkeep outwardly flawless eyelash extensions every two to three weeks, something that can give you the appearance of extensions in under 60 seconds sounds like a godsend. It only takes three easy steps to enhance your lashes up to 300% with the Cherry Blooms Fibre Lash Extensions Mascara, thanks to the power of brush on fibres. No glue, no mess! This number one salon recommended eyelash extensions solutions adds 3D volume and instantly produces longer, more natural looking lashes without the finicky process of extensions or lash lifts. As simple and familiar as applying mascara, let your customers trial a tester of the lash building black fibres, and watch this product sell itself! To learn more about stocking IMAGE Skincare or Cherry Blooms Cosmetics in salon, call 1800 625 387 or visit www.probeautysolutions.com.au for more information. Older PostDo You Want to Survive or Thrive?